An outrageous example of his dislike of people with whom he did not agree is furnished by the case of Subash Chandra Bose. So far as I am aware no protest was ever made by Gandhiji against the deportation of Subash for six years and Bose’s election to the Presidential Chair of the Congress was rendered possible only after he had personally disavowed any sympathy for violence. In actual practice however Subash never toed the line that Gandhiji wanted during his term of office. And yet Subash was so popular in the country that against the declared wishes of Gandhiji in favor of Dr. Pattabhai he was elected president of the Congress for a second time with a substantial majority even from the Andhra Desha, the province of Dr. Pattabhi himself. This upset Gandhiji beyond endurance and the expressed his anger in the Mahatmic manner full of concentrated venom by stating that the success of Subash was his defeat and not that of Dr. Pattabhi. 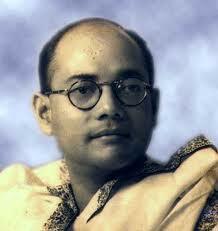 Even after this declaration, his anger against Subash Bose was not gratified. Out of sheer cussedness he absented him-self from the Tripuri Congress Session, staged a rival show at Rajkot by a wholly mischievous fast and not until Subhas was overthrown from the Congress Gadi that the venom of Gandhiji became completely gutted. In the Quit India Movement launched by the Congress, on 8/8/1942 the statement of Gandhi exhorting people to do or die was interpreted by that section as giving them full scope for all kinds of sabotage and obstruction. In fact they did everything to paralyze the war effort of the Government to the fullest extent. In North Bihar and other places, nearly 900 railway stations were wither burnt or destroyed.These activities were directly opposed to the Congress creed of non-violence and to the Satyagrah technique. Meanwhile Subhash escaped from the country in January 1941. He went to Germany and then to Japan who agreed to assist him against the British in the invasion of the country. But Gandhiji was again more lucky. Lokmanya Tilak died in 1920 and Gandhiji became the unchallenged leader. Success of Subhash Chandra would have a crushing defeat for Gandhiji, but luck was again on his side and Subhash Chandra died outside India. It then became easy for the Congress party to profess love and admiration for Subhash Chandra Bose and the I. N. A. and even to defend some of its officers and men in the Great State Trial in 1946. They even adopted ‘Jai Hind’ as the slogan which Subhash had introduced in the East. They traded on the name of Subhash and the I. N. A. and the two issues, which led them to victory during the election in 1945-46, were their hypocritical homage to Subhash’s memory. More over the Congress party had promised they were opposed to Pakistan and would resist it all costs. All this time the Muslim League was carrying on treasonable activities, disturbing the peace and tranquility of India carrying on a murderous campaign against the Hindus. The Congress would not venture to condemn or to stop these wholesale massacres in pursuit of its policy of appeasement at all costs. Gandhiji suppressed everything which did not fit in with his pattern of public activities. I am therefore surprised when claims are made over and again the winning of the freedom was due to Gandhiji. My own view is that constant pandering of the Muslim League was not the way to winning freedom. It only created a Frankenstein, which ultimately devoured its own creator-swallowing one third of hostile, unfriendly and aggressive Indian territory, and permanently stationing a neighbor on what was once Indian territory. About the winning of Swaraj and freedom, I maintain the Mahatma’s contribution was negligible. But I am prepared to give him a place as a sincere patriot. His teachings however have produced opposite result and his leadership has stultified the nation. In my opinion S. C. Bose is the supreme hero and martyr of modern India. He kept alive and fostered the revolutionary mentality of the masses, advocating all honorable means, Including the use of force when necessary for the liberation of India. Gandhiji and his crowed of self seekers tried to destroy him. It is thus entirely incorrect to represent the Mahatma as the architect of Indian Independence. The real cause of the British leaving India was three fold and it does not include the Gandhian method. One – the movements of the Indian Revolutionaries from 1857 to 1932 i.e. up to the death of Chandra Shekhar Azad at Allahabad, then next, the movement of revolutionary character not that of Gandhian type in the countrywide rebellion of 1942, and an armed revolt put by Subhash Bose the result of which was a spread of the revolutionary mentality in the armed forces of India are the real factors that shattered the very foundation of the British rule in India. And all these effective efforts to freedom were opposed by Gandhi. I am prepared to concede that Gandhiji did undergo sufferings for the sake of the nation. He did bring about an awakening in the minds of the people. He also did nothing for personal gain; but it pains me to say that he was not honest enough to acknowledge the defeat and failure of the principle of non-violence on all sides.